The Word on the Street is that the Sesame Street characters have a new application to teach vocabulary, using the intelligence of IBM Watson. One of the key components of literacy is vocabulary development. Many words are learned early on through traditional reading instruction, while sight words can take longer to master, because they often don’t follow the expectations and rules of grammar. Beyond that, a robust vocabulary usually takes a long time to acquire. Technology for literacy comes in many forms, and can enhance and expedite the learning process. With a new intelligent play application developed through a collaboration between IBM Watson and Sesame Workshop, the creators of Sesame Street, learners can practice and recall seemingly complex words like “arachnid,” “camouflage,” or “applause,” early on. Learning software is said to be adaptive when it adjusts to a learner’s needs, by posing questions and responses based on their level of understanding, and building knowledge in a holistic, gradual way. IBM Watson has intrigued the world with its groundbreaking capabilities, becoming well known for its inclusion as a Jeopardy contestant in 2011, winning first prize. It has “learned” a lot, gaining input about the world that enables it to answer questions like one with human intelligence would. Watson isn’t just a fancy search engine, it recognizes natural language, and returns the answer to a question based on its understanding of that language used in the prompt. IBM Watson has applied this technology to create an adaptive learning application, responding to the user’s response to provide information in real time, that caters to a learner’s skill level. In the application built through their collaboration with Sesame Workshop, learners are prompted by their muppet pals, who are familiarly silly and comforting. The learners are given questions, provide answers, and the uniqueness of their response is addressed within the program. The characters act as animated pedagogical agents, guiding the users through navigation, and providing support through the learning process. The interface is simple, with the presence of the characters, words, pictures, and sounds, and feature game like activities that enable the students to practice new vocabulary words. The difference with this program to typical learning apps is that there is not just one sequence of questions and answers that the program delivers, but rather an individualized response that may follow a nonlinear path. Blended Learning - finding the balance between technology and face-to-face instruction. Teachers have a lot to gain by utilizing adaptive technology in the classroom. These kind of programs are usually implemented through a few classroom computers, in the school computer lab, or with handheld tablets. Used within a Blended Learning approach, adaptive programs provide students with individualized attention, address multiple skill levels, and are available in virtually all subject areas thorough a variety of providers. These programs help free up time for teachers to provide more attention to learners who require extra assistance, which is an ongoing issue in classroom management. 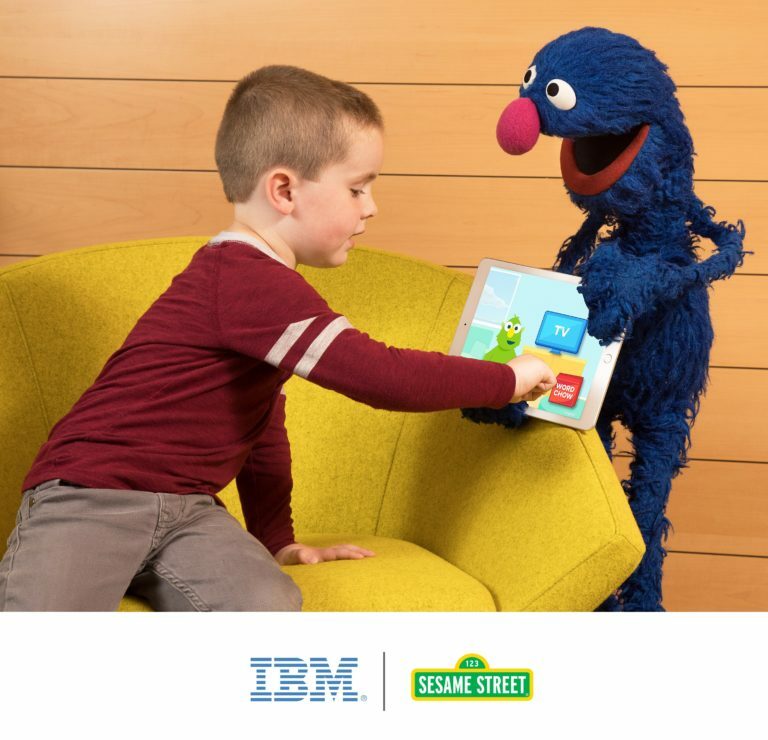 Georgia’s Gwinnett County Public Schools, one of the nation’s top urban school districts, and the largest school district in the state, has recently experienced this intelligent play application designed by IBM Watson and Sesame Workshop, by piloting the new adaptive cognitive vocabulary app. The current pilot is the first phase of the process to understand whether multi-modal learning experiences can improve vocabulary and literacy. The initial observation from collecting data from the program, was that many students appeared to acquire new vocabulary as a result of the app. This application, and others like it will soon be available on the IBM Cloud for wide adoption in schools globally. The biggest barrier to entry for teachers to use adaptive learning technology in the classroom is the cost, and the implementation. If schools or districts organize partnerships with technology providers, it usually provides the best formula for a successful initiative. Teachers need training, resources, and organizational support to ensure consistency, and a cohesive approach. Without knowing exactly what this application will cost educators, I would say that if it is accessible to enough learners, its efforts to invigorate literacy instruction will be fully recognized.